Silk Screen Imprinted Black Color Retractable Reel Badges - Sample Gallery 1. 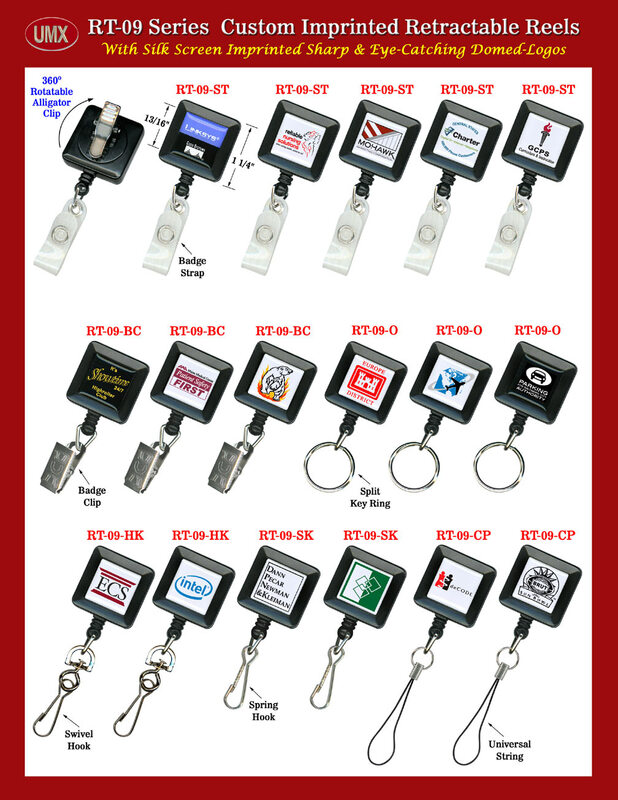 Our square shape rotatable and retractable reels come with alligator clips are great for custom imprints. Not only with single color imprinting, we can do full multiple color photo quality imprint on our retractable reel badges. You can do specific Pantone PMS colors or full color imprints with photos. The following samples are some of our great multi-color custom imprinted badges for your references. Multi-color laser cut logo also available for your retractable badges.